Frisco musician Beau Thomas will perform at the Historic Brown Hotel Saturday, April 30. The Historic Brown Hotel reopened April 15 and will be featuring live music on the weekends throughout mud season. John Truscelli and the Stolen Band will be playing Friday, April 29. Americana singer-songwriter Truscelli and his band weave their way through rock-bluegrass-alt country sounds with a vibe that holds any audience’s ear, and the original sound of Truscelli’s voice and musical stylings of the band makes any song covered by the band its own. Mark Schlaefer will play the Blue River Bistro in Breckenridge on Friday, April 29. Mark Schlaefer brings his delta blues to the restaurant from 5-10 p.m., and there’s no cover. Visit blueriverbistro.com for more information. Arapahoe Basin’s Spring Concert Series welcomes Coral Creek on Saturday, April 30 from 1–4 p.m. outside in the Base Area Plaza. The shows are always free. Coral Creek is a Colorado band on the rise, featuring a diverse catalog of original music spanning the genres of rock, country/bluegrass, cajun, folk and island music. While the new self-titled album sits squarely in the Americana category, Coral Creek live performances transport audiences from the beaches of the Caribbean, down to the bayou and back up high into the Colorado Rockies — with instrumentation ranging from mandolin and fiddle to congas and steel pan. Featuring the original songs of Chris Thompson, Bill McKay (formerly of Leftover Salmon and Derek Trucks Band) and Luke Bulla (of Lyle Lovett Band) performing original songs as well as Americana classics by The Band, Grateful Dead, Peter Rowan and Neil Young. The Historic Brown Hotel hosts Beau Thomas Band on Saturday, April 30. Thomas is a singer-songwriter and dad of three from Frisco. He grew up in the Denver metro area and started playing music publicly in 2009 at local open mic nights. He now performs four to six nights a week at bars, restaurants and private events as an acoustic soul singer, or “blue eyed” soul as others have come to call it. 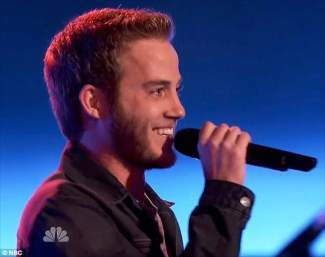 Thomas’ local popularity has exploded since he recently participated as a contestant on NBC’s “The Voice.” The show starts at 10 p.m. The Blue River Bistro hosts free live music with Jerry Weiss Duo on Saturday, April 30. The music runs from 5-10 p.m., and there’s no cover. Visit blueriverbistro.com for more information.